“Thank You for Playing” is a movie produced by a group of filmmakers working for the National Film Board of Canada. What makes this documentary special is that it brilliantly succeeds at adding interactive game elements to their filmmaking techniques. 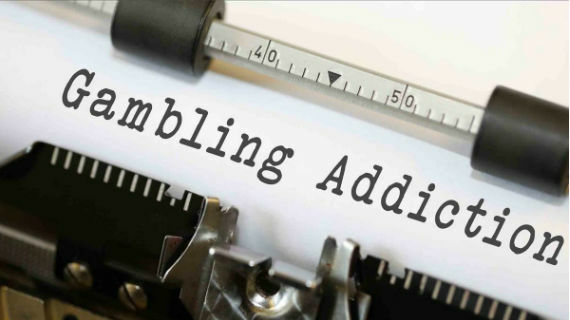 The result is a hybrid between a documentary film and a web game that is aimed at raising awareness about the dangers of gambling addiction. Its producers wanted to highlight the fact that the Canadian government uses a significant percentage of gambling revenue to fund infrastructure, social services and healthcare products. According to the filmmakers behind this project, more than a third of those revenues come from people who struggle with gambling addiction. They found the topic so interesting that they decided it was worthwhile to shift be initially intended focus of the film to this new feature. The decision to braid their film with interactive game elements got viewers fully immersed into the movie atmosphere. In the opening scenes, the audience is taskeGambling, Gambling Add with the apparently simple challenge of watching icons being shuffled before their eyes and identify the shape of a heart. What the filmmakers tried to achieve was to create positive reinforcement, by letting the viewers win to condition their behavior. This is exactly the technique the casino industry is also using to attract customers. As the movie unfolds, the audience is kept in apparent control, as they can choose which of the three stories to watch. In between, viewers can also play a game inspired by slot machines and experience the thrills of winning big amounts. The stories depicted in the movie are powerful enough themselves to keep players interested in finding out what happens next. The biggest challenge was to successfully merge the documentary films scenes with the interactive game, to keep the audience hooked. Its creators hope that the move will educate the audience and make them more aware of the insidious threat of gambling addiction. Moviegoers can expect an entertaining film, which can also teach a couple of valuable lessons. Ultimately, it can even help them mitigate and prevent the dangers of addiction, while enjoying the games responsibly. The filmmakers expressed their hope that people will be provided with the impetus to look at their gaming habits with a critical eye and make an honest evaluation.